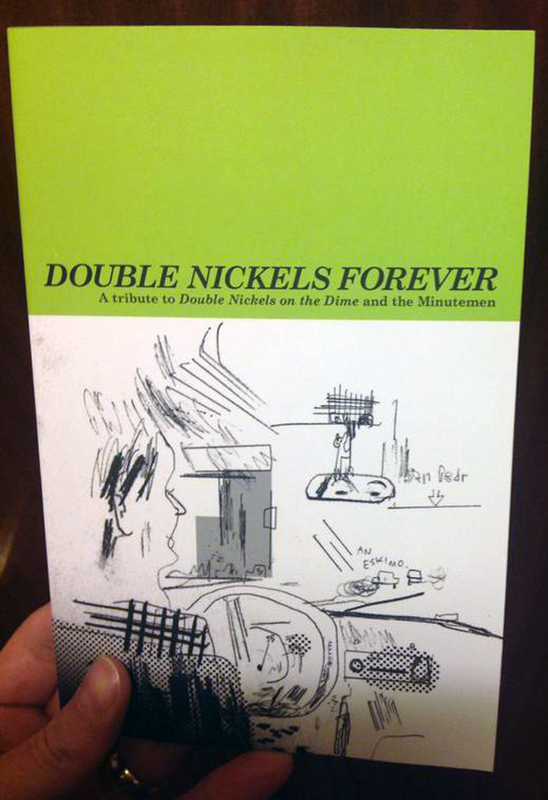 I received my contributor copies of the Double Nickels Forever the other day, and I have to say it looks great. Put together by the wonderful Warren Craghead and featuring 59 artists including Lydia Wysocki, Simon Moreton, L Nichols, John Porcellino and Warren himself. 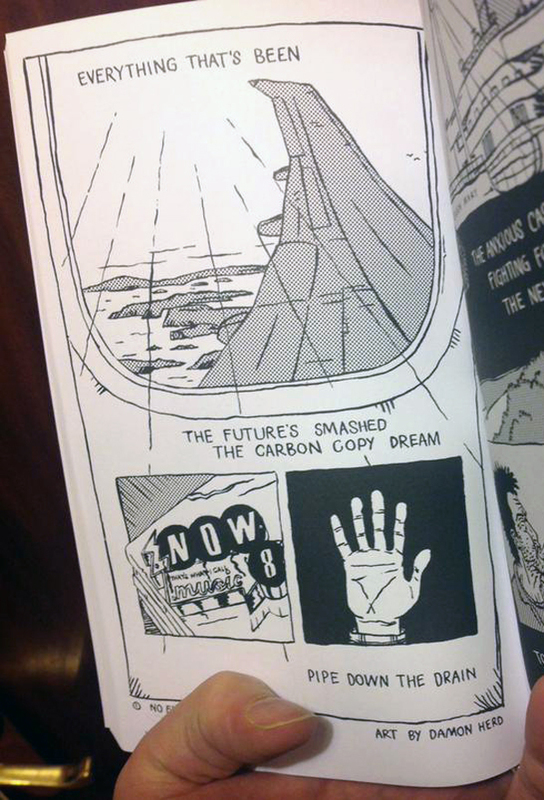 The book is a tribute to San Pedro punk band the Minutemen with each artist illustrating or interpreting one song from what is possibly the defining Minutemen album Double Nickels on the Dime. There are so many great pages in this book. 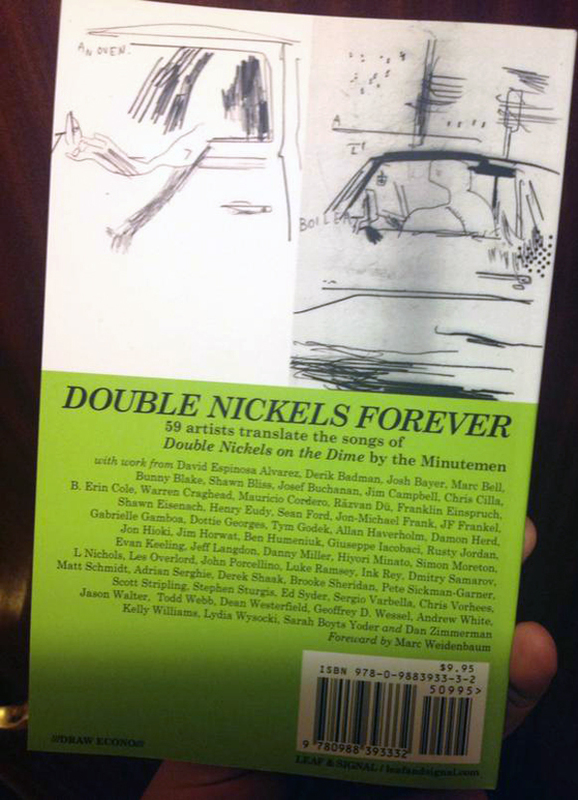 Double Nickels Forever back cover with list of artists.